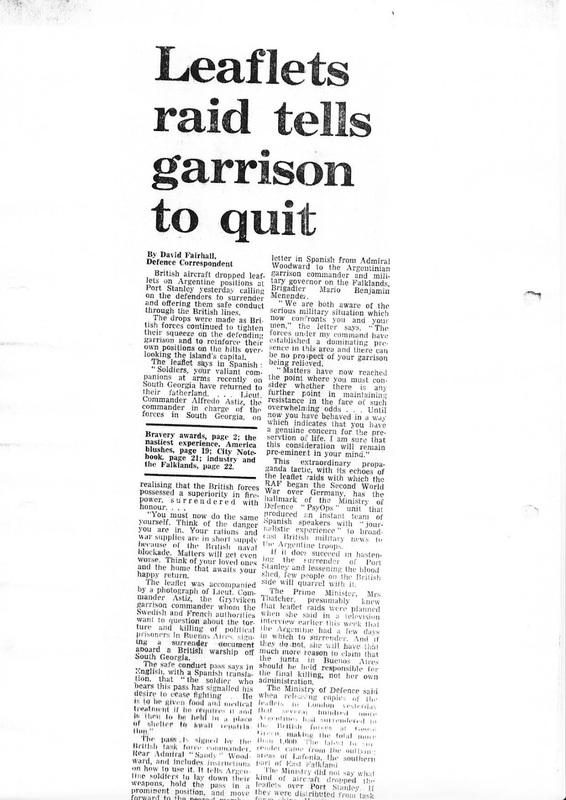 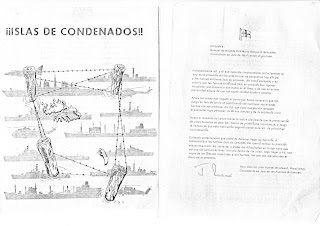 As the Falklands War was drawing to a conclusion in May 1982 the British were dropping propaganda leaflets across the islands to encourage the Argentine soldiers, primarily conscripts to surrender and to generally try to damage their morale. 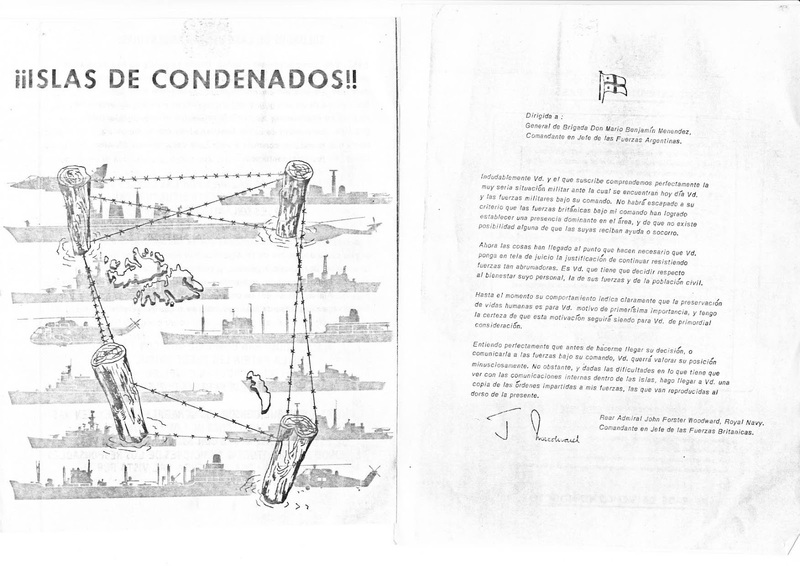 These are copies of the leaflets dropped by the British forces in the Falkands War. 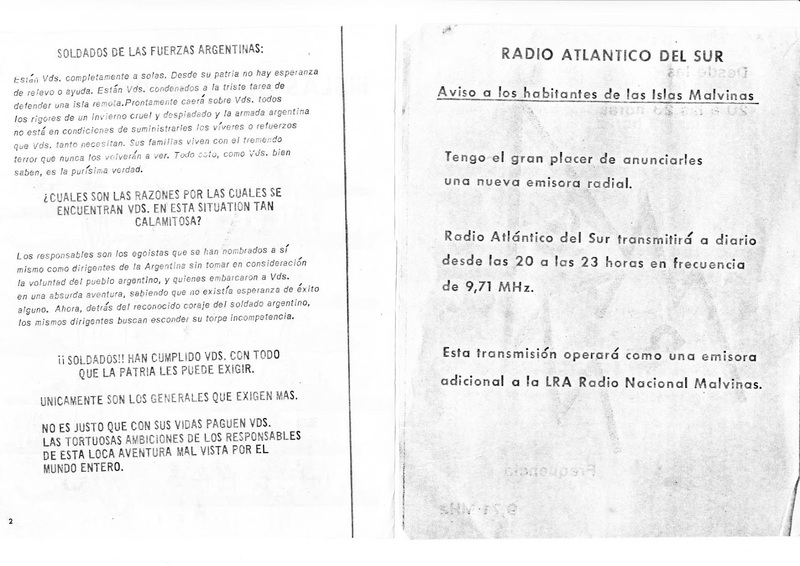 The leaflets include messages in English and Spanish as well of details of a radio station broadcasting messages to the Argentine troops. 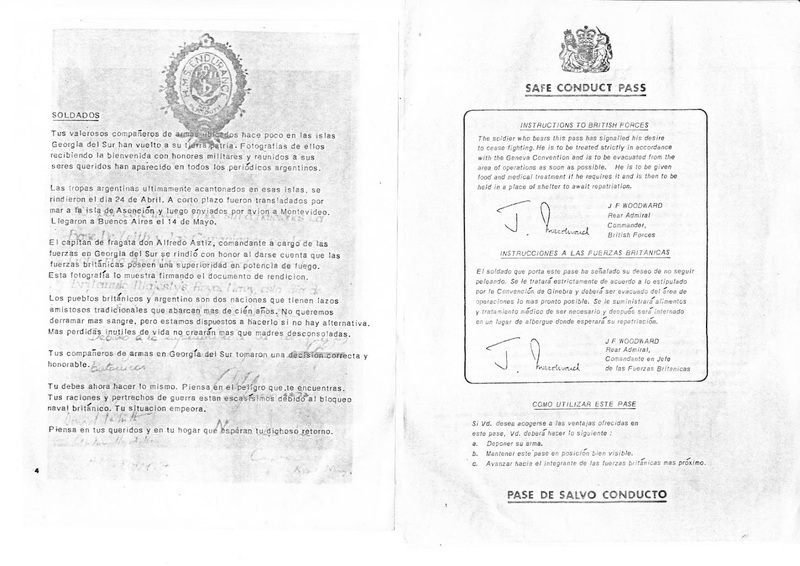 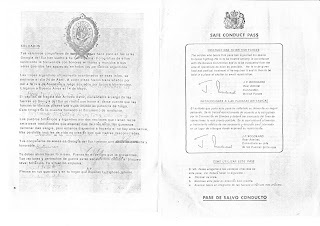 The leaflet has a Safe Conduct pass included on one page to allow the Argentinian troops to surrender safely and guaranteeing their safe passage. 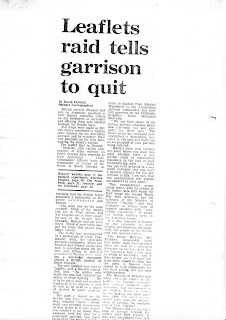 It was believed that they had been told by their commanders that the British would kill them rather than take prisoners. 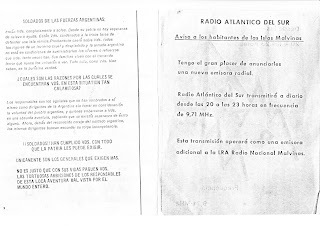 Radio Atlantico Del Sur broadcast on 9.71MHz.